Updated Monday February 11, 2019 by Fred Steigerwalt. Babe Ruth and leagues across the country have instituted new background check policies based on new federal laws passed in wake of the Dr. Larry Nassar, Michigan State, US Gymnastics’ team abuse cases. Also, the State of PA (meaning government) has placed a prevision where in addition to the Federal process we also must complete Background checks, Sexual abuse check and FBI finger print specific to the State of Pennsylvania. All past Background checks submitted to Hilltop are now obsolete due to the new Federal Laws beyond any organizations current policies. The law requires all our managers, coaches and volunteers to complete the new process and the cost will be $25.50. Sorry, for the additional cost but again it’s the new federal law. The cost increase from the previous process is $5.50. Hilltop has always taken our background check process seriously and we will continue to do so by adopting the new Federal and State laws immediately. Thank you for your cooperation and the new process is good for two years. First - Complete these three forms and place on your PC in .pdf format. This is the state of PA requirement. Backgournd check and Child Abuse are free, the third one is the FBI check. Now if you have lived in the PA for ten years you can complete the “Disclouse statement” in lieu of the FBI fingerprint I have highlighted the “disclose link” for you to click on in step three below. Your witness for the “discloser statement” can be any family member that can vouch for you. Once that statement is complete save it in .PDF format with your background and Sexual abuse clearance. Pennsylvania ONLY – these three forms must be completed and saved on your PC as they will have to be uploaded as a PDF’s when you create your Sports Engine background check account. 3. Federal Bureau of Investigations (FBI) Criminal Background Check or Disclosure Statement Application for Volunteers. Who have lived in PA for more than 10 years. 3) Than you will be asked to add your Background check, Sexual abuse check and Discloser statement as .pdf attachements. 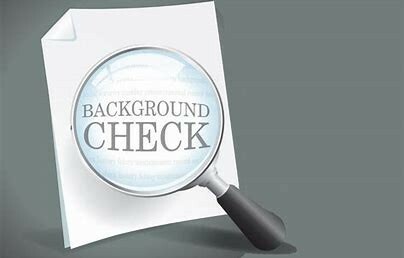 4) You will have three pages of acknowledgement that a national background check will be completed. 5) At the conclusion of the background screen, you will be prompted to complete payment ($25.50) *there are no codes to enter at checkout as Hilltop does not have a PIN.